When it comes to camping a lot of gear needs to be packed and not because they are absolutely necessary but because you never know when you might need something. LED lanterns are by far the most common pieces of gear that campers buy for obvious reasons. Rechargeable ones seem to be most popular as they can provide illumination for several hours and there is no need to worry about batteries. 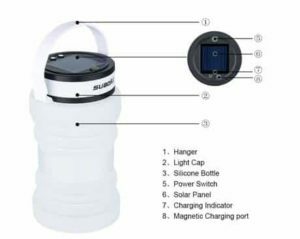 Some rechargeable LED lanterns even include some extra features such as a power bank. 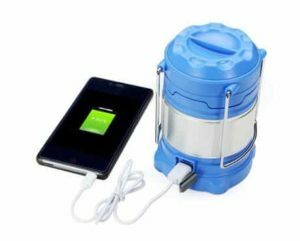 This can be extremely useful when there is a power outage or when out for a camping trip and a smartphone is low on battery. As expected these extra features also cause the price of the lantern to go up but for most part they are all affordable. Also, the use of LED lights makes them extremely power efficient. It can help extend battery life when compared with regular incandescent light bulbs. 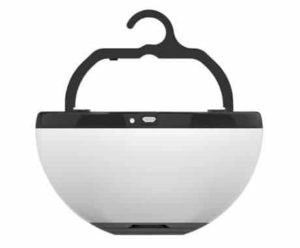 Today we will have a look at several LED rechargeable lanterns that we managed to select out of the hundreds of models available. Some of them are simple while others have additional features. For the sake of diversity we included as many varied models as possible. To keep things short here is our selection of the top 10 best LED rechargeable lanterns in 2019 reviews. The VonHaus camping lantern is an interesting device that is advertised as being a 4-in-1 model which can fulfil several different functions depending on the situation. When hold horizontally it can work as a flashlight. When placed upright it can be used as a standard lantern. Also it can be used as a power bank using an USB cable and the port hidden at the base of the device. In terms of brightness and battery life the model uses 10 LED lights for the lanterns which should be more than enough. It has a 3.2 volt internal rechargeable battery that can provide enough power for several hours of continuous use. ThorFire rechargeable camping lantern is an affordable option for the ones that need one and wish to save some money. The catch is that it does not include the rechargeable battery cells. It can work with regular AA batteries or 18650 battery cells. The 18650 battery cells are rechargeable and need to be purchased separately. Basically they are the cells that are used in laptop batteries. Like any other LED lantern it uses high energy efficient lights that can save power while still providing decent illumination. It offers about 180 lumens in high mode and comes with a water resistant build. Etekcity lantern pack offers a good deal for the money. It actually comes as a kit of two which is quite impressive when looking at the price tag. The lanterns themselves are simple and straight forward without any fancy features. 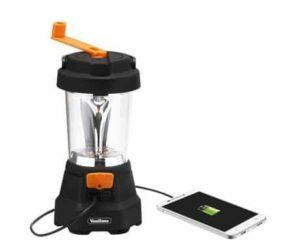 The lanterns come with a built-in rechargeable battery that provides enough power for about 8 hours of continuous usage. Its LED array ensures a low power consumption and a bright light. What is interesting is the solar panel placed on top that can help recharge the batteries. Image Hand Crank lantern is a simple device that looks like a traditional oil lamp. It is made mostly out of plastic and comes with a convenient handle. The model is fairly lightweight and does not have any additional features such as a power bank option. Unlike other lanterns the model uses rechargeable AA batteries. This makes it easy to swap them around when they are low. Also they can be recharged quite easily as the lantern has solar cells placed on the top. Superway portable lantern is a great pick. It is a well-made product with a sturdy construction and a large battery capacity. The model uses a powerful 10400 mAh cell with a 2.1 amp output. This gives it about 99 hours of runtime on a full charge on low brightness. The LED array used by the lantern is estimated to have a lifetime of up to 100,000 hours. Their brightness reaches 280 lumens on high brightness but it will offer a runtime of just 28 hours. The battery itself can also serve as a power bank to charge smartphones and tablets. 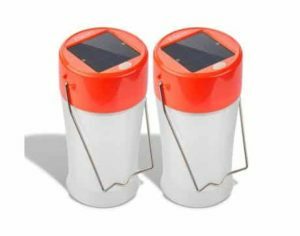 The solar lantern from AGPtek is a great option for the ones with a low budget. It is an inexpensive lamp powered by a rechargeable battery pack and a solar cell. The lamp is also quite lightweight and extremely bright. The model uses a 36 LED array that provides more than enough lighting and can be switched between high mode and low mode that uses just 18 LEDs. Its battery pack uses 3 AA cells that can be either normal or rechargeable. Its solar panel can be used to recharge the batteries when needed as long as the batteries allow it. Etekcity portable lantern was made to be functional, lightweight and inexpensive. The model uses a built-in power cell with a large capacity of 4400 mAh. This is enough to power the lantern for several hours. 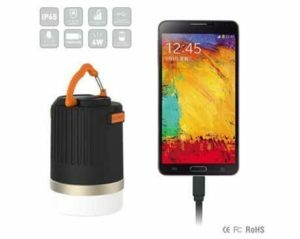 At the same time it can be used as a power bank to charge mobile devices. The model uses 15 LED lights. In high mode all of them are powered while in low mode only 6 are used. 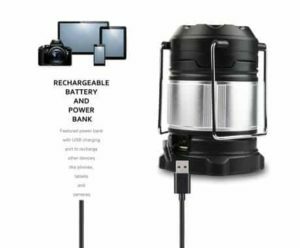 As expected the lantern includes the rechargeable batteries and comes with a decent one year warranty. 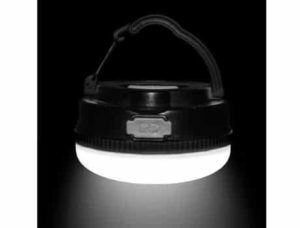 The Suaoki rechargeable LED lantern is an excellent pick for camping or to have around the house. It is rather compact with a simple build that makes it convenient and easy to hold. It has a small handle and a foldable design that makes it take almost no storage space. The model has a built-in 1000 mAh battery pack that provides around 12 hours of use in low brightness mode. In high brightness mode it offers about 5 hours of continuous runtime. The model also has a waterproof build which means it can be used even when it is raining outside. Supernova Halo 180 is an inexpensive compact lamp. It is not collapsible and cannot be extended but it can provide just as much illumination as larger models. The manufacturers focused on making it as compact as possible. 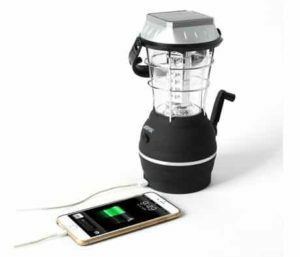 Like with other similar models the lamp has a built-in rechargeable battery which provides enough power for several hours. It provides an output of about 180 lumens which is enough for a small room. To make it easier to use the model has been fitted with a small strap to secure it to the hand of the user. 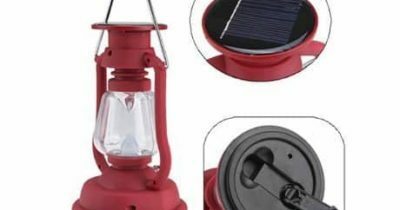 The Ivation lantern is a great option for the ones that love going out camping. It can also serve as an useful tool around the house during those inconvenient times when the power is out. The model has a bright LED array that offers decent brightness. According to the manufacturers the LEDs are guaranteed to work up to 100,000 hours. The model includes a built-in rechargeable battery with a capacity of 1500 mAh. It has a clever compact design that makes it usable as a table lamp as well. The top handle will prove to be extremely useful when moving around in a poorly illuminated area. Lanterns come in various shapes and sizes but they are pretty much all the same. Their outer design is the biggest variable. Some models are smaller than others which can be an important aspect for some. Also, an observation worth mentioning is that some models use regular batteries that can be rechargeable. The lamp may come equipped with what it needs to charge the batteries. 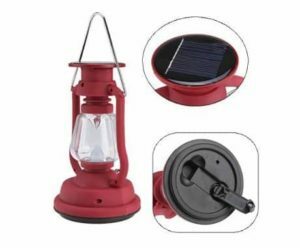 We attempted to include all types of models in our list to satisfy any need of a person that enjoys camping or someone that would like to have a lantern at home just in case one would be needed. I lean towards the crank lights, solar is great buy when it goes “dead” in the middle of the night I’m out of business. Very informative comparison. Thanks!